Bovada Poker has been rebranded as Ignition Poker. Only citizens from the United States can join. Fast fold and Holdem/Omaha ring games available. Ignition Poker is licensed and regulated in Canada by the Kahnawake Gaming Commission. Many major poker rooms like PokerStars and Full Tilt were forced out of the United States poker market. 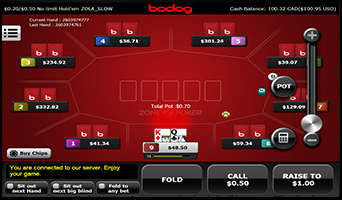 Now Bovada has decided to cease their poker operations in the USA. Thankfully all existing players were simply moved over to the Ignition Casino and the poker platform is also the same so basically only the name has changed. Ignition Casino only accept citizens of the United States on their poker site. As you’d expect from an offshore poker site that caters predominantly to American players, the mobile app from Ignition is entirely browser-based, which means that you won’t have to install anything on your device. To start playing Ignition Poker on your phone, just visit the Ignition Poker site www.IgnitionCasino.eu. Ignition offers an exciting Welcome Bonus, which is a 100% match on the first deposit you make and which allows you to grab up to $1,000. However, please note that this bonus has to be released by playing the games – all in all, you’ll have to accumulate 5,000 Poker Points in order to claim the full amount. The biggest downside of this otherwise exciting offer is the fact that you have 60 days to earn all the promotional money – if you don’t manage to unlock all levels of the bonus, the remaining cash won’t be credited to your account. Consequently, if you make a large deposit and you don’t want to spend hours grinding the micros, you should probably consider playing at the higher stakes in order to speed up the entire process. 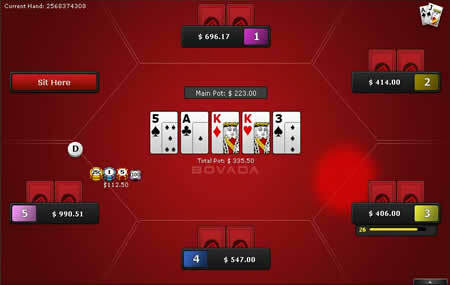 The visual theme is very similar to all the other Bovada products, featuring a mix of black, red and white. 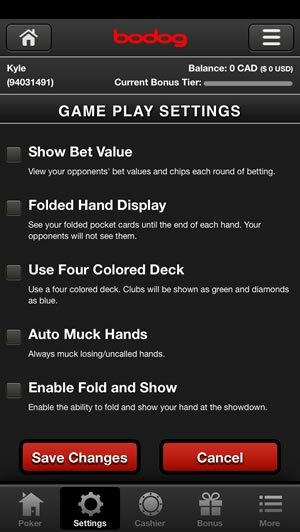 The main menu allows you to pick between three fast-fold poker variants: Zone Texas Hold’em, Zone Omaha Hi and Zone Omaha Hi/Lo. 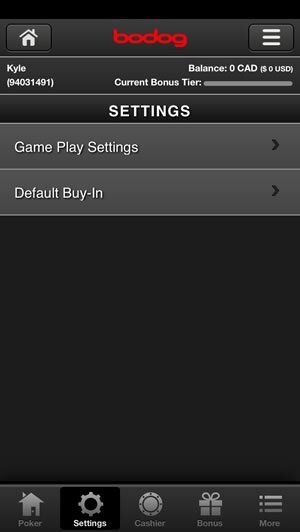 Regular Texas Hold'em and Omaha cash games are available on any iOS, Windows Phone or Android tablet or smartphone. Tournaments are available right now on mobile but they are expected to be added in the coming months. 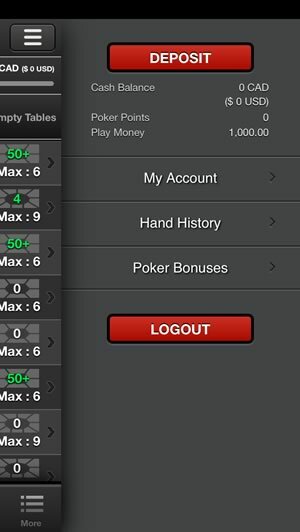 The table mode design can make or break a fast-fold poker app, as the breathtaking pace at which those games progress doesn’t leave any margin for errors or mis-clicks. 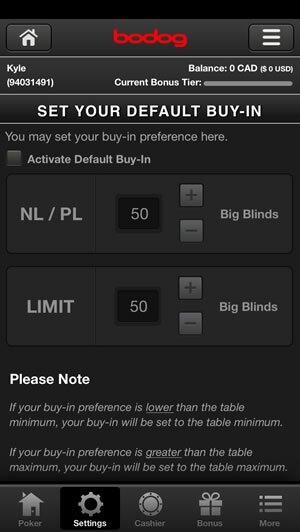 Fortunately, the user interface designed by poker specialists at Ignition/Bovada does an excellent job when it comes to making you feel control of the game at all times. The function buttons are placed at the bottom of the screen, the card designs make it easy to tell the suits apart and the fonts are large enough to quickly assess the size of each bet. Switching from one table to another once you complete your hand is also well handled, as you’ll never feel lost or confused when you find yourself at a different position in another game. Even though the Ignition Casino Droid app is browser-based, the action feels smooth even by downloadable mobile software standards. As briefly touched on above, Ignition is the most popular poker site that still accepts United States-based players, which means that the traffic tends to be high even outside the peak hours. However, the competition isn’t as tough as on the largest international networks. In fact, the policy of Ignition is to attract mostly recreational players by introducing features like anonymous tables, which means that many of the players that you’re going to meet won’t be able to present much of a challenge regardless of the poker variant that you pick. ​Nevertheless, you should keep in mind that not everyone on Ignition is a fish, so you should never underestimate your opponents – after all, you won’t be able to observe their actions before you make your move due to the fast-fold format of all the games that are available with this app. 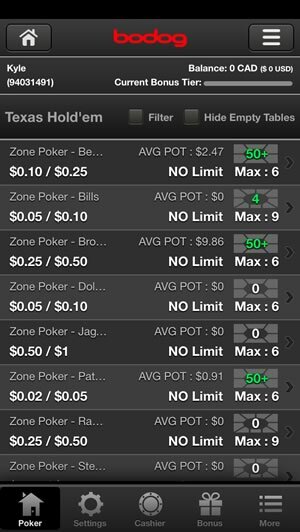 The new Ignition iPhone and Android app may lack traditional tournament support, but the way it handles the site’s flagship Zone poker simply sets it apart from the crowd. The Texas Holdem and Omaha cash tables are also a joy to play at. The action is smooth and fast-paced, the user interface has been obviously made specifically with this style of playing in mind and the loading times are very short despite the fact that the software doesn’t store any data on your device. If you own an Android, iPhone, Microsoft Lumia (Windows Phone) or iPad and you enjoy adrenaline-pumping poker action, you’d definitely do yourself a major disservice by not giving this app a try.